The North Carolina motorcycle shoulder injury lawyers at Auger & Auger have been helping accident victims in North Carolina since 1994. We know that one of the most frequent injuries sustained in a motorcycle accident is a shoulder injury. When one starts to fall, it is only natural to outstretch the hand to try to break the fall. When falling from a moving motorcycle, this often results in fractures of the clavicle, scapula, and/or humerus, as the shoulder joint can’t handle such blunt-force trauma. Other injuries can include dislocation of the humerus, strain/sprain of the AC joint, or rotator cuff injury, and are often only resolved after surgical intervention. If you have suffered an injury to your shoulder as the result of a motorcycle accident, the attorneys at Auger & Auger recommend that you obtain appropriate medical attention immediately. Involvement in a motorcycle accident is a traumatic event, and with so much to worry about, shoulder injuries often go undetected for a period of time as you tend to more obvious injuries. Delay in seeking treatment for shoulder injuries can lead the insurance adjuster to deny your claim and try to call it a pre-existing or an age-related condition. In the absence of an obvious injury to the shoulder, some symptoms of shoulder injury may include decreased shoulder range of motion, shoulder pain, and weakness in the arm. An orthopedic surgeon that specializes in shoulder injuries will order relevant diagnostic tests and they are best prepared to analyze the results. Most fractures and dislocations of the shoulder can be seen on X-rays, but some injuries, such as sternoclavicular joint sprain and/or separation, impingement syndrome, and tears of the rotator cuff, require more precise imaging, such as a CT scan or MRI. If you have been involved in a motorcycle accident, it is important that you tell your doctor about all of your symptoms and not minimize any aches and pains you might be experiencing. In order to be compensated for your injuries, they must be well-documented by your medical provider. Oftentimes, a shoulder injury can leave you unable to return to work. It is critical for a medical doctor to authorize you to remain out of work in order for you to pursue a claim for lost wages. The adjusters for the insurance company may try to make it very difficult for you to recover your lost wages, and may even require you to produce your tax returns. An experienced attorney can help guide you through this process. The experienced motorcycle shoulder injury attorneys at Auger & Auger know how frustrating it is being involved in an accident. 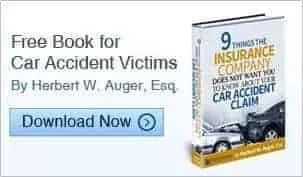 We have over 40 years combined legal experience in handling accident cases and in dealing with insurance companies who may claim to be on your side, or claim that you are in good hands, but do not really have your best interest at heart. When you call Auger & Auger, we will provide you with a free consultation, regardless of how long the consultation takes. There is no legal fee unless we obtain a settlement or court award for you. With offices conveniently located throughout North Carolina, we are just a phone call away.